Well, we all know how since the past one year, AMP is booming in the Search space. 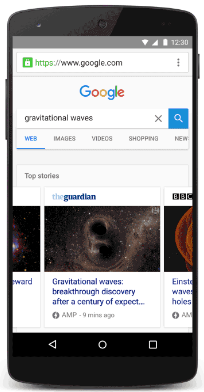 Initially, AMP pages just appeared on the carousels but since November 2016, these have now started reflecting on Google Search as well. As most of the webmasters are now moving to this approach, you too should (if you have not already). Recently Tejas wrote an article on Why one needs AMP, and what it is! In this article, I’ll try to jot down the do’s of AMP implementation, and how to get it live and rolling. This is what a typical AMP coding looks like, everything from the <html> tag to JS and CSS, is picked from the AMP library. Don’t worry, Google has these guidelines documented. Similar to the annotations we provide for desktop and mobile versions of a site, so that Google picks it up on Mobile search, we have to provide the following AMP annotations for Google to pick up the AMP pages. Just like other styling codes, Google has AMP-analytics, that allows you to track users, sessions, and all the other metrics similar to a non-AMP website. Here’s the catch – many webmasters are not pleased to see that AMP traffic is not included within Organic Search, which should rightfully be so, but hey, you can always make a case on it and get it added to your Organic search (explained in a later point below). This is a compulsory step for any web development – to debug in case of any issues. Google Search Console provides an AMP testing tool that allows you to identify bugs in a page. This is a brilliant tool and has helped us always! Make sure you run your pages through this, to be extra sure of the validity. 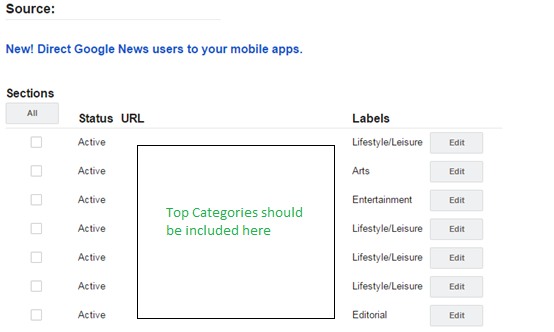 Maintain a dynamic XML News sitemap. WordPress by default maintains one, that gets updated every 48 hours, and stories older than 2 days are removed, if your site is hardcoded, ensure you create a News sitemap, which should keep getting updated as and when a story goes live. As mentioned in point 2, you will realize that the non-AMP traffic doesn’t grow, especially if more than 60% of your Traffic is through Mobile. Well, don’t panic, like I said, let’s make a case. Google Search Console now lets you analyze how many users land up on your site through AMP/News carousels, and how many land through Search results (where a non-AMP URL gets replaced with an AMP URL). AMP Non-Rich Results – This filter is your life saver. You get all the AMP pages that brought traffic from the Search Rankings. So, pull this data out and map your cannibalization against the non-AMP for that time range, and you’ll make a strong case! Well, that’s it! There are snags most of the time, so ensure you have the AMP Validity extension in your browser, that will signal to you in case there are any AMP bugs present. Hope this was informational and helps you in your process. Feel free to reach out for any doubts related to this, and I shall humbly help you out. This post is specially written by Sushmita Balasubramanian for SEO in Short. Sushmita has over 3 years of experience in SEO and Mobile Audience, and is extremely enthusiastic about learning newer technologies in the digital space. Apart from work, she is an avid animal activist, and holds passion for extra curricular activities. Labels: accelerated mobile pages, AMP annotations, AMP in Google Search Console, AMP tags, AMP traffic in Google Analytics, coding AMP page, how to implement AMP?